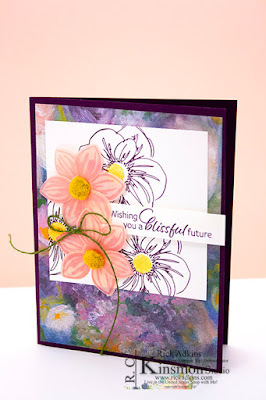 Hello and welcome to my blog; today I am going to share with you the card I made yesterday afternoon during my YouTube Live. We needed a baby card for Charles' 2nd cousin who just had a new baby boy. He knitted the little bundle of joy a baby blanket, and the colors that are in it were pool party, balmy blue and smoky slate; so I used those colors in the card. Here's a look at the card. 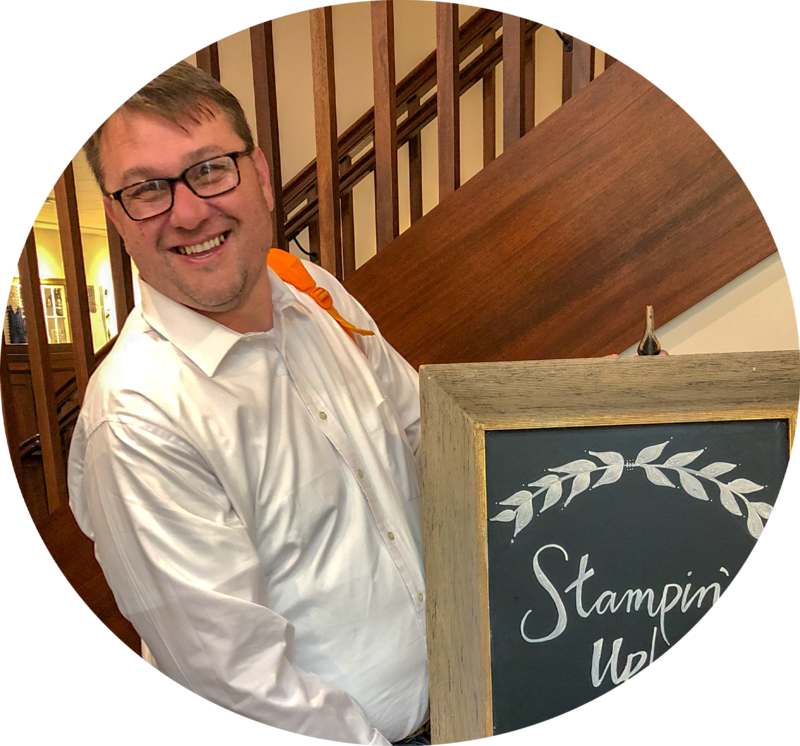 I used the Perfectly Paired Stamp Set from the 2019 Stampin' Up! Occasions Catalog as the main image. 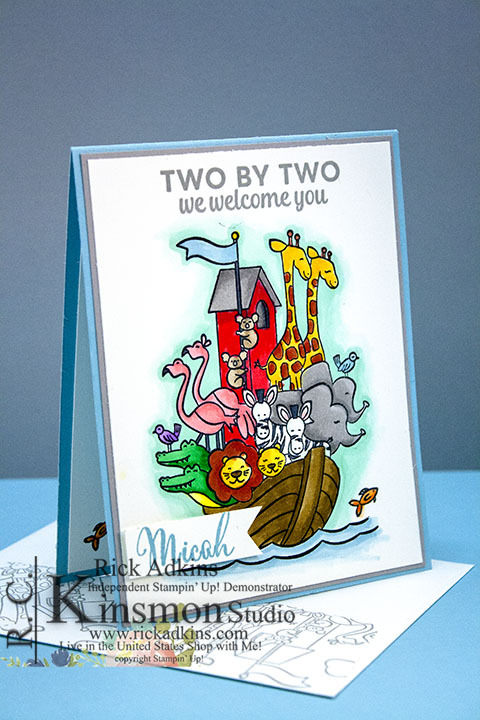 This is the perfect stamped image to color using either your Stampin' Blends (as I did) or your favorite color media. I used a Balmy Blue Cardstock as my card base. I matted the image with a piece of Smoky Slate; I will have a full list of the blends that I used below in the shopping list. When I saw this stamp set back in November I really liked it but didn't order it right away. I actually ordered it last week and it came in yesterday. I knew that Charles was going to want a card made for just this special reason. So I ordered this stamp set and First Steps which is also in the Occasions Catalog. I needed to order because the other baby sets I had were not really suitable for a little boy. I hope that you have enjoyed my little card for today. If you need any of the supplies I used today you can pick them up in my online store 24/7. Thanks for dropping bye today. This is darling! Any child would be thrilled with this bright, cheerful card. I'd put this in a frame and put it up in the baby's room. Thank you for sharing.